Are you interested in a condo? 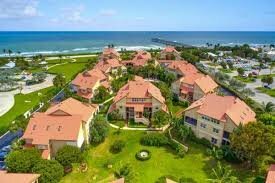 Learn more about what the Beachcomber community in Jupiter, Florida has to offer. This area, situated off US Highway 1, has approximately 60 condominiums and townhomes offering 2 and 3 bedroom units with breathtaking oceanfront views. You will literally be a beachcomber here, once you step out of your building, you are just a few steps away from the beaches of Juno and Jupiter. Close to shopping, restaurants parks and many other amenities. Ready to hit the beach? Contact us online, call 561-491-2381 or Email - Team@SimmondsTeam.com for more on available listings or to book a private showing. Contact us to learn about selling your home with the Simmonds Realty Team.